Knitting garments for my Sensory Special child was a challenge. 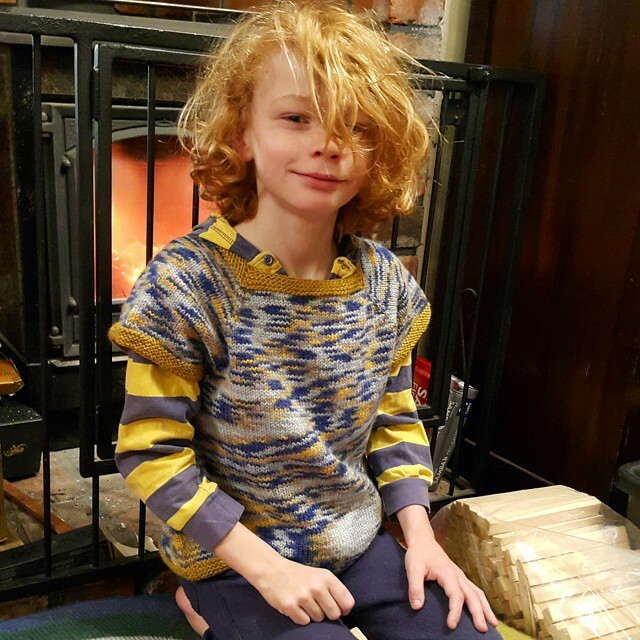 Have you ever been caught out knitting a garment for a child only to find that all your hard work is left wallowing in the bottom draw because the recipient just can cope wearing your lovely garment? It’s disheartening. It’s frustrating. It’s hard to fathom why. As you can see from the face - we were not happy at modelling this cowl against our skin! Working in yarn retail and manufacturing I am always hearing the comment back from knitters that they can’t knit for children because the complain that the: yarn is scratchy, it’s too thick, too tight. So why is it then some children wear hand knitted garments with no fuss at all and others, even those in the same family, kick up enough fuss that you’d think the world was about to end. The answer could be that these children have sensory issues or if severe enough Sensory Processing Disorder. It is thought that as many as 1 in 20 children have SPD with a whopping 1 in 6 children experiencing sensory issues that affect their day to day life. Sensory Processing Disorder can affect people in only one sense–for example, just touch or just sight or just movement–or in multiple senses. One person with SPD may over-respond to sensation and find clothing, physical contact, light, sound, food, or other sensory input to be unbearable. Another might under-respond and show little or no reaction to stimulation, even pain or extreme hot and cold. In children where clothing is concerned, they are the ones who have to have all the tags removed, only cope with soft or well washed fabrics, and only tolerate a few layers and just hate any outerwear touching the skin. Milo ticked all the boxes - kept Louis warm, didn't touch his skin and could be customised to how he liked. So how do you knit for a sensory child? I have a son who has SPD, along with Autism Spectrum disorder and a few other goodies. He is our first born, so as a knitting mother I was so excited to be able to knit for him. These are the tricks and tips I have learned along the way when knitting for him and his developing conditions. Collars or features with direct skin contact. 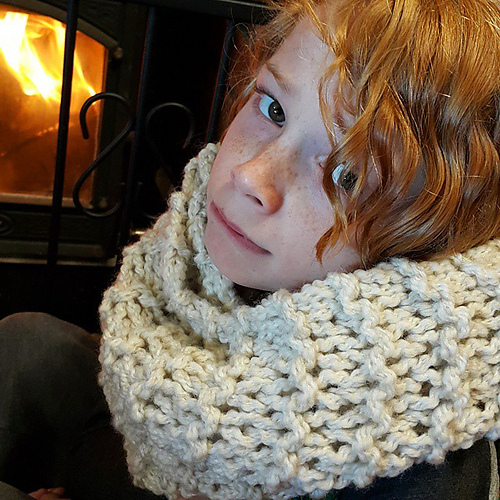 Sweaters with shawl collars look so cute but send a sensory child crazy with irritation. Smooth stitching, swap ribbing for garter stitch. Stocking stitch is safe, it’s smooth to wear and not to constrictive. The uneven texture of the stitching can feel like rough sandpaper for the SPD child. Feels too bulky or this to wear, especially if you have to add another layer like a jacket in cooler climates. Patterns worked in the round. Top down, in the round vests are great. No seaming at all required. No sides seams to irritate. Patterns that require a lot of seaming. Side seams, added collars, complicated shoulder shaping all create seams that can be highly irritating – best to avoid. To create a lighter fabric for easier layering. Produces a fabric that is lighter and easier to wear. Make it difficult to layer, especially in cooler or wetter climates. Smooth plied yarns or yarn with higher twist. Wrap yarns with effect binders or fluffy/eyelash yarns. Add texture to the yarn which can add irritation. Eyelash or yarns with binders also gives sensory kids something to pick at and unravel. Don’t get put off if you get deterred first time around. Older children often like the tactile process of selecting their own yarns and are move likely to wear them if they have input in the choice. Also if you find a pattern and yarn that works; repeat, repeat, and repeat! My two year old has just been formally diagnosed with SPD after months of being evaluated for Autism. This post came up when I paired SPD with Knitting on google- I really cannot thank you enough for making this.